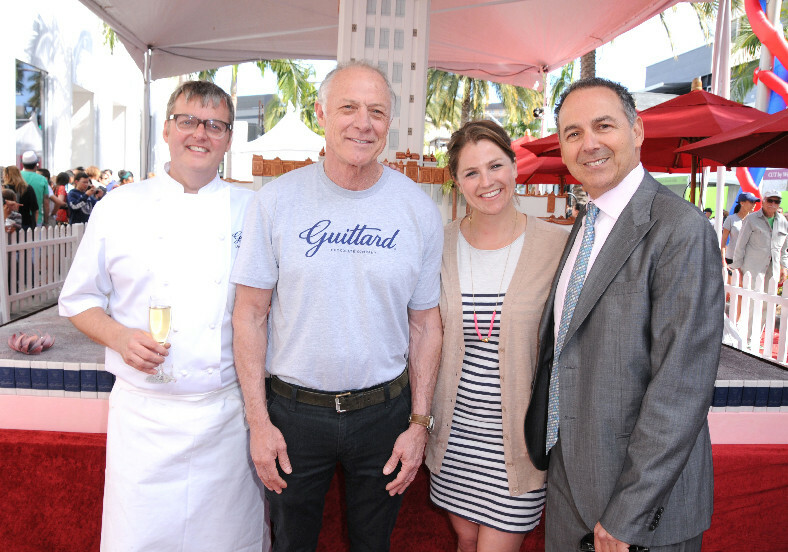 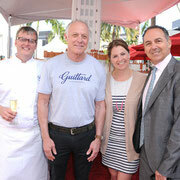 The Luxe Rodeo Drive Hotel (www.luxehotels.com/rodeodrive) and Guittard Chocolate Company’s corporate executive pastry chef, Donald Wressell, presented the City of Beverly Hills with a 15,000-slice chocolate cake today in celebration of the city’s centennial milestone, serving thousands that came to celebrate in a block party on Rodeo Drive. 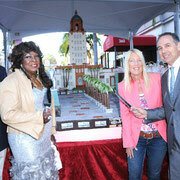 The cake, the centerpiece of the Beverly Hills Centennial Block Party, replicated the iconic Beverly Hills City Hall tower and famed street of Rodeo Drive. 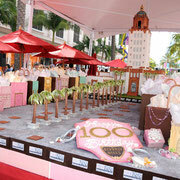 Weighing approximately 4,000 pounds, the cake stood at a staggering 10-feet high, 15-feet wide and 20-feet long before it was enthusiastically consumed by thousands of partygoers, dignitaries, and celebrities. 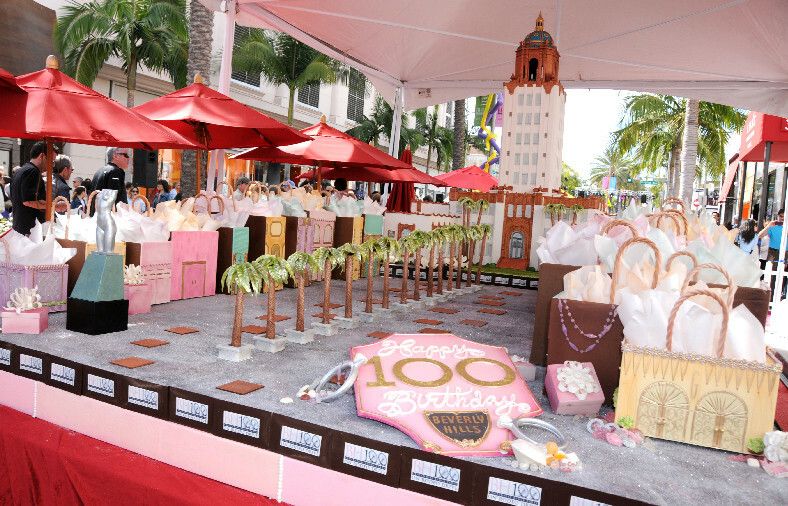 The Beverly Hills Centennial Block Party on Rodeo Drive took place on the 200, 300, and 400 blocks of Rodeo Drive from 3:30 pm to 8pm. 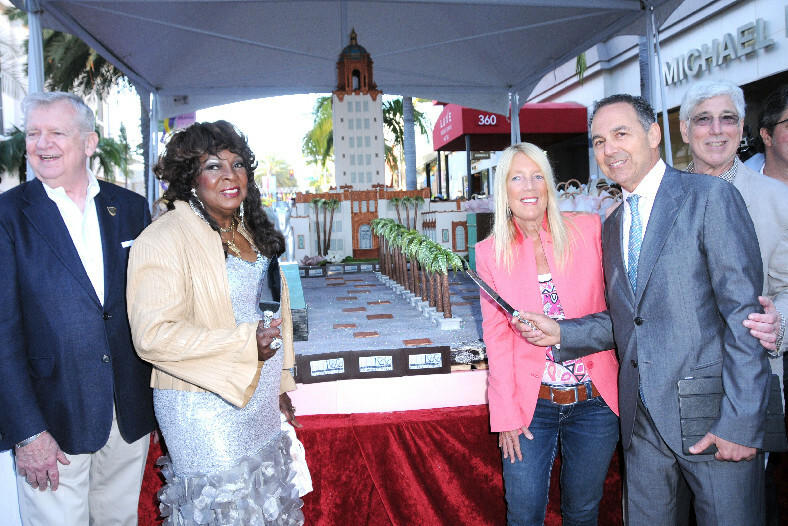 In addition to the cake, the event included carnival games, food festival, rides, entertainment, and a special performance by R&B legend Martha Reeves.